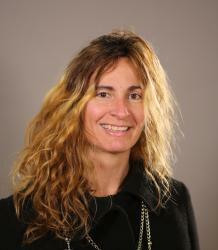 My name is Ana Esmeralda Leon Fernandez and I have been working in Exeter University since 2000. At the moment I work as an Associate Leturer (E&S) in the College of Humanities. I teach several modules at the Foreign Language Centre and currently I am the Module Covener of the module Spanish Beginners (FLS1130). I am quite interested in Latin-American issues: Culture, History, Life-style and politcs. I teach several Spanish modules within the Foreign Language Centre (Spanish Beginners, Spanish Intermediate 1, Spanish Advanced 1 and Spanish Advanced 2) and I am the Module Convenor for Spanish Intermediate 1 and Spanish Advanced 2. Furthermore, I am quite interested in Latin-American issues: Culture, history, life-style and Politics.